Facebook’s play to get small businesses onto the platform appears to be working. The company announced today that there are 30 million active small business pages. 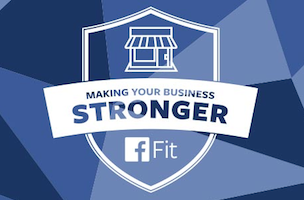 Additionally, 19 million small business page owners on Facebook manage their page via mobile, Facebook announced at its Facebook Fit event in New York. Facebook has been aggressively trying to get small businesses to not only set up a page, but advertise. Inside Facebook talked last year with Dan Levy, Facebook’s Director of Small Business, about the company’s plan to make the site more attractive for local businesses. It was then that Levy said Facebook had roughly 16 million small business pages. One of the beauties of Facebook is that most small business owners are on Facebook already, just as themselves. They’re their real identity and they’re on Facebook interacting with friends. It’s a very natural progression for them to learn and understand how Facebook works, and then do what they’ve been doing on Facebook as a user for their business as a page. One of the things we like to tell people is that using Facebook for your business is as easy as using Facebook as a user. We know more than 1 billion people have used Facebook as a user, so we think we’ve got a really good solution there. A lot of the evolution we see is someone comes to Facebook as a user, and they’ll create a page, then they’ll start to get engagement from that page, and they’ll write for their business just as they were writing for their personal Facebook page. And from there, they’ll start to get traction and really see the value that they’re getting from reaching customers and driving sales. They’ll start to invest more in it from an advertising perspective. Post by Facebook for Business. Readers: Do you manage a small business on Facebook?